Are you looking for new vehicle insurance, have you got a new car or searching for a better deal? AKORIN Finance is based in Adelaide and we guarantee you a personalised service. We put your interests first and ensure that you have a comprehensive and competitive cover on both personal and business vehicles. Organising your car or vehicle insurance can be a pain but we do the hard work for you. 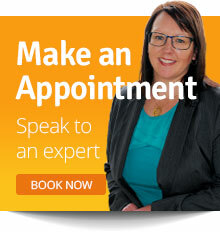 Why Choose Adelaide’s Car Insurance Experts? By choosing AKORIN Finance you gain access to all the great deals we have at our fingertips. We offer a fast service so there is no need for your vehicle to ever be off the road. AKORIN Finance understands that everyone has different insurance needs and budgets. We find the best for deal for you. We will make the process of getting new vehicle insurance simple and easy. Take the pressure of yourself; you can relax knowing that your vehicle insurance needs are safe with us. Contact AKORIN Finance today to speak with our experienced brokers.